Audi should ally with Google to equip its Connected cars with the Android operating system. As for Apple, it gets patent opening a car with an iPhone. 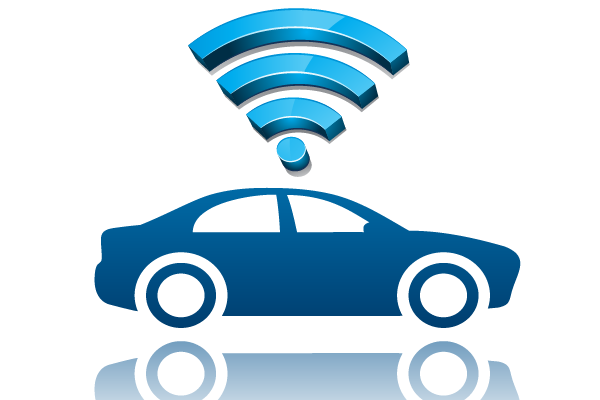 2014, the year of connected cars, the manufacturers are starting to get restless in this field, although this is not entirely new. The year promises comes true innovations and implementation of some projects. Firstly, the formalization of a partnership between Audi and Google could be realized very soon, probably during CES 2014 the German manufacturer Connected cars should be equipped with the Android system, according to the WSJ. For its part, Apple had already announced work with manufacturers (including BMW, Honda, Mercedes, Nissan, Ferrari, Hyundai or Kia) to bring to board "infotainment" systems. They will control both the music and the messages or browsing while driving a vehicle. Meanwhile, Apple has recently patented the opening of a car via an iPhone. This function is expected to lock or unlock the car, but also to open the tailgate or preheat the engine. The connection would be made in Bluetooth. 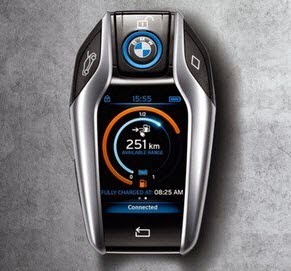 Another interesting initiative towards BMW this time, which should equip the i8 model, its rechargeable hybrid Connected cars with a smart key To locking and unlocking, it has an integrated LCD screen on which the user can access to various information such as the level of battery charge, remaining range, etc.. The key could also be enhanced with several third-party applications.